EMA House Hotel Suites offers you a comprehensive choice of premises for meetings and events with a first-class infrastructure and services. 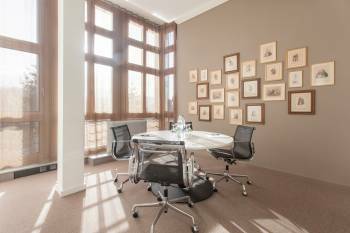 Our wide options include light-flooded meeting rooms and a practical multi-purpose hall. All rooms are air-conditioned with state-of-the-art presentation facilities and wi-fi. To take care of your physical well-being, our service team serve interval refreshments, standing luncheons and drinks receptions. Which means that everything is in place to make your meetings, discussions, presentations, workshops, market surveys, exhibitions and receptions a resounding success.